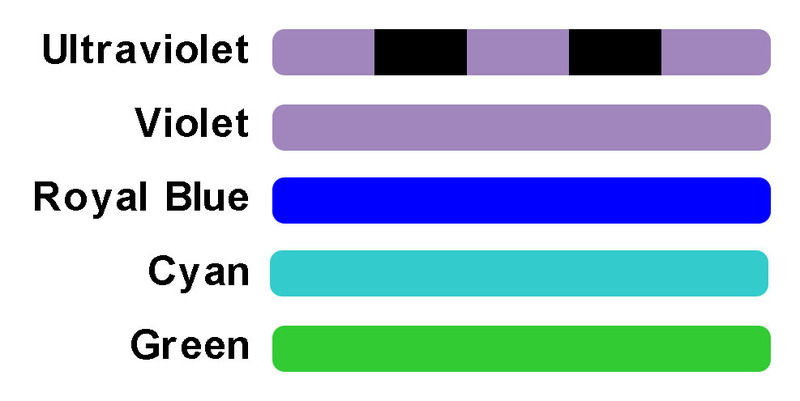 We had to make a choice: choose a color strip corresponding to the expected fluorescence emission color or corresponding to the light source color. 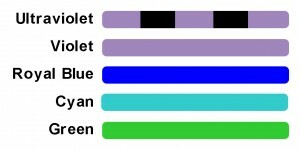 If the only use were going to be with fluorescent proteins we might have gone with the former, but when you consider the world’s vibrant palette of fluorescence responses you find that one excitation may elicit a broad spectrum of color responses. 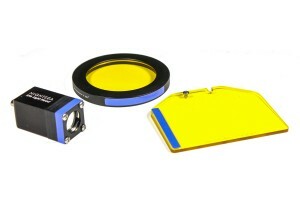 So the color coding of all three pieces in a light+filter set – the light head, barrier filter, and filter shield – corresponds to the color of the excitation source.